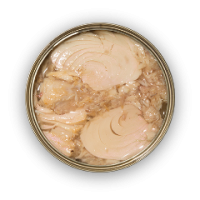 Browse canned-fish suppliers by country and region. Product Description : With Sunflower Or Vegetable Oil 125gx50 tins/Easy Opening can Whole Pcs of Sardines (4-5 pcs) per can Price of product ( USD price or FOB price) : Specific To Each Enquiry Product Origin : Morroco Min Order QTY & Pkg : MOQ: In House Brand: 1 X 20 FCL MOQ: Private Brand: 2 X 20 FCL Packgaing details : Inspection: SGS/ Bivac/ Cotecna CIF Price On Request Payment Terms : Delivery is within 30 days from receipt of confirmation and advance payment. 30% Advance TT and 70% Balance TT Againsts canned copies of Original docs. Short on time? 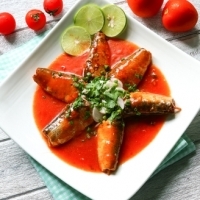 Let canned-fish sellers contact you. 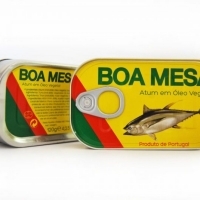 Product Description : Canned sardines with sunflower or vegetable oil 125gx50 tins/Easy Opening can Whole Pcs of Canned Sardines (4-5 pcs) per can Price of product ( USD price or FOB price) : Specific To Each Enquiry Product origin : Morroco Minimum Order Size and Packgaing details : MOQ is 1 x 20 FCL for inhouse brands Packgaing details ; About 3,250 Per 1 x 20 FCL Inspection by SGS, BIVAC or Cotecna CIF Price On Request Payment Terms : Delivery is within 30 days from receipt of confirmation and advance payment. Payment terms is 30% Advance, 70% Balance Against Copy of Scanned BL and Other export documents. TPN Global Business Co., Ltd.
We have our own brand and we can be OEM or ODM Manufacture Canned tuna: -solid or chunk tuna meat in Brine Vegetable oil (such as soy bean oil, sunflower oil, olive oil) Water or spring water Chili with oil Tuna fried with carrot corn nut...ect We can design product as your request. Fertilizers, DAP, MAP, TSP, phosphate, urea, Nitrogen, MOP, Muriate of potash, KCL, potassium chloride, fish, octopus, sardines, canned sardines, fishmeal. snacks, canned tuna, canned tuna oil, canned tuna flavoured, canned fish, frozen fish (mackerel and sardines), olives, stuffed olives, olive oil, sunflower oil, halal wine, non-alcoholic beer, non-alcoholic wine, non-alcoholic champagne, canned tuna, dried mangoes, dries pineapples, dried papaya, water, juice, snack, biscuits, energy drinks, Valve, actuators, pipes, pump, electrical cables, gasket..
Coconut oil, coconut fiber, activated carbon, coconut charcoal, coconut coir, desiccated coconut, pepper, cardamom, areca nut plates and bowls, scented candles, candles, room fresheners, granites, coffee, fish meal, processed seafood, cashews, frozen foods, areca nut, garments, jaggery, honey and dry fish.